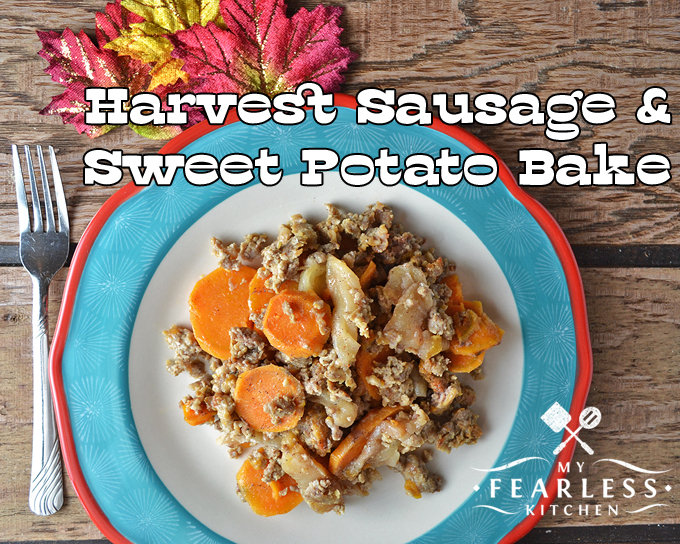 Sausage, sweet potato, and apples are a tasty combination any time of year in this easy-to-make Harvest Sausage & Sweet Potato Bake recipe. We had an amazing sweet potato crop in our garden this year. (Unlike our green beans, that were all lost to the weeds.) Our sweet potatoes are big and beautiful, and I need to remember to use them before they go bad! 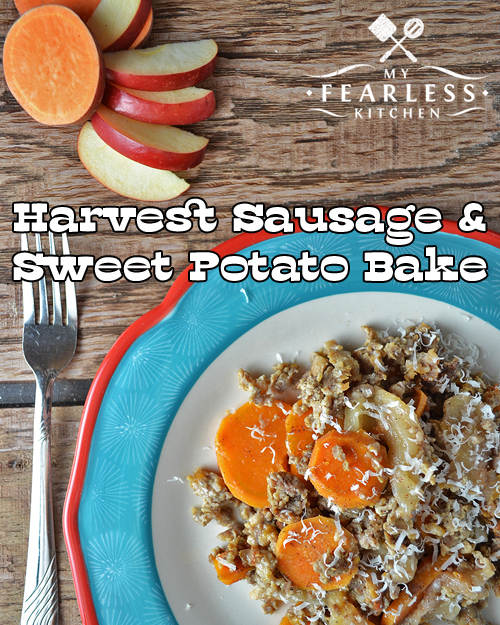 John thought this Harvest Sausage & Sweet Potato Bake was so yummy, he asked for it again! This recipe is in “Best Ever Casseroles” by Gooseberry Patch. I am loving all the casserole ideas in this book, and I know you will, too! Enjoy your favorite fall flavors – apples, sweet potato, and cinnamon (add a dash of nutmeg if you want) any time of the year. The sausage gives brings a very mild flavor to this dish. It’s less overpowering than ground beef would be. Although you could certainly substitute ground beef if you wanted to! Top it off with a little freshly grated Parmesan cheese when it comes out of the oven, and you’ll be in fall-flavored recipe heaven! This casserole is plenty on its own, but you could also serve it with a few slices of crusty homemade bread. 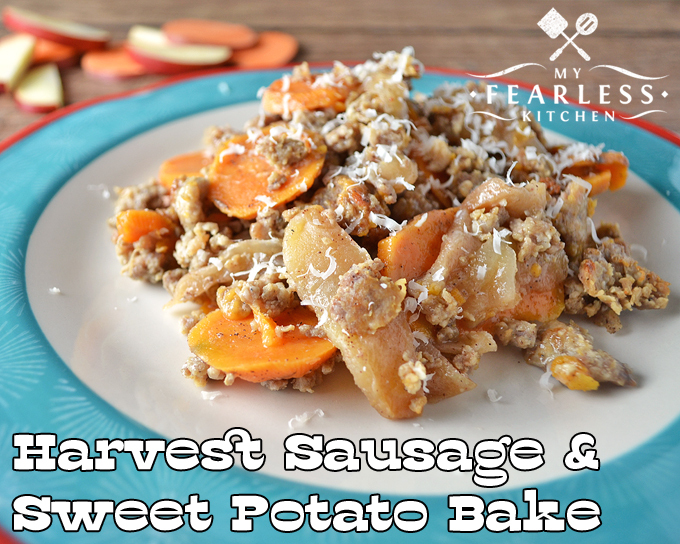 Arrange sweet potatoes, apples, and sausage in a greased 9x13 baking pan. In a small bowl, combine remaining ingredients. Pour over top of casserole. Cover withaluminum foil and bake at 375 degrees for 50-60 minutes, until sweet potatoes and apples are tender.